Your Christmas tree is nothing if not a grander extension of yourself. Are you a Fancy Nancy, with pink, purple, and blue boas and other sparkly things adorning your Tinseled Tree? Or, are you more of Traditional Thomas, with red, green, and gold surrounding your Douglas Fir in a perfect pattern of perfection? Maybe you’re a Sentimental Sally, who has stuff from all throughout her years on Earth, representing travels, friends, relatives, pets, and school years gone by? You could be like us and be a Mishmash Marvin, with stuff crammed all around each branch, sticking out every which way, with no rhyme or reason to it other than you love it ALL! Whatever your decoration style or proclivity, we know you will find something on this list that NEEDS to be on your tree RIGHT NOW. Or our name isn’t Mishmash Marvin! 2018, we barely knew ya! Now you’re about as done as our relationship with store-bought fruitcake! But we had some good times together, you and I. 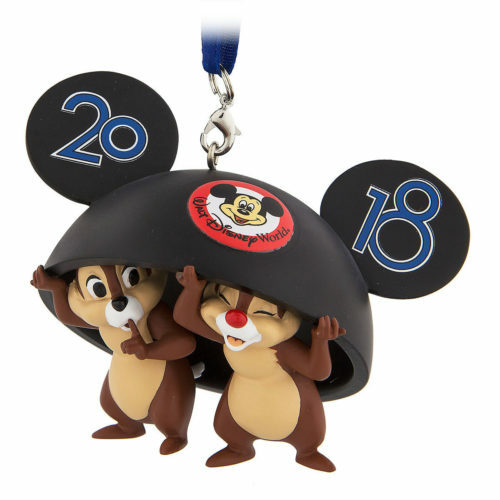 Snag up this awesome 2018 Chip ‘n Dale Ear Hat Ornament as reminder of a marvelous day at Disney. This one’s just magical. 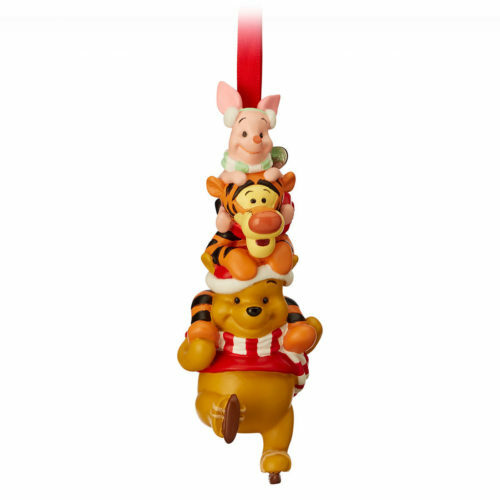 This Disney Castle Ornament is possibly our new favorite! 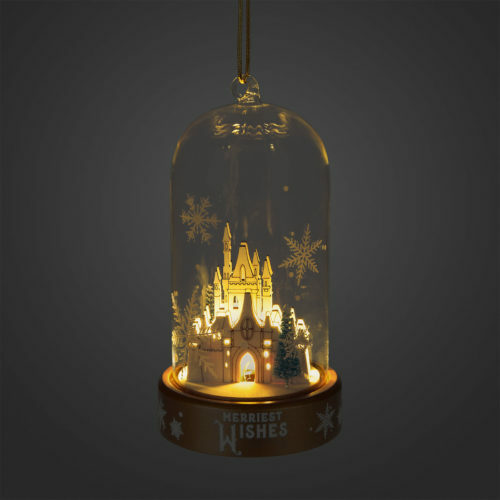 It features a wooden castle tucked inside a glass cloche and with the flick of a switch, it turns into this mystical, snowy wonderland! It would look great on your tree or hanging out on the mantel! I’d stop the world and melt with this ornament. He’s just that worth melting for. 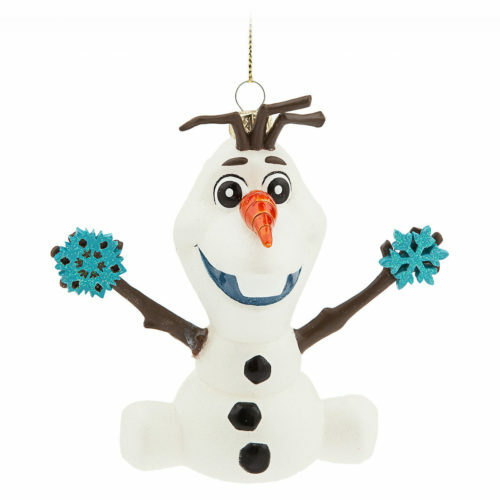 We can’t muster enough love for this adorable Olaf Glass Ornament! 100 points for cuteness! 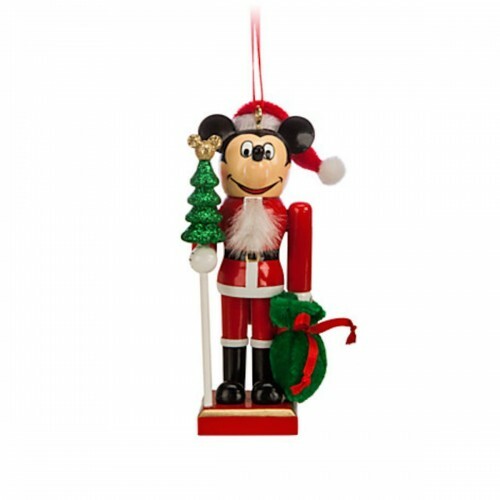 Who can resist a Mickey for your tree, especially when he’s part of a Nutcracker Brigade? Nobody. That’s who. 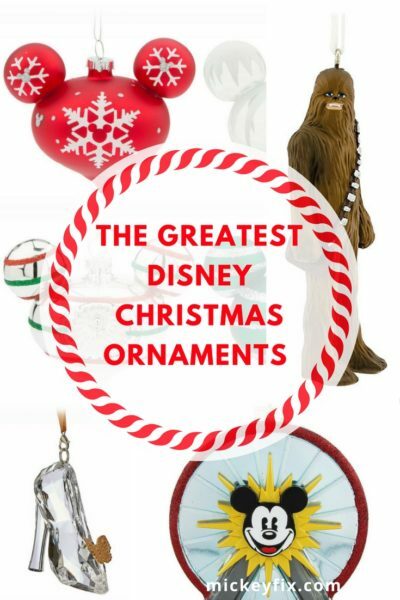 No matter what your Christmas style, this Mickey Nutcracker Ornament will blend right in: it brings something for the cute, the traditional, the sentimental AND the mishmash to love! These are for the Mishmashers who gotta have ’em ALL! 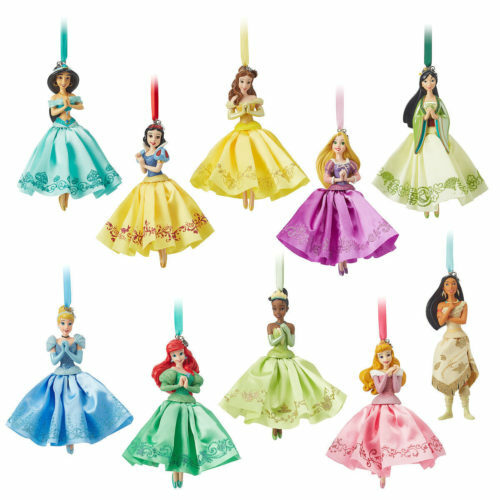 This Disney Princesses Ornament Set is perfect for the well-rounded Disney Fan who is enamored with the Disney Princesses and can’t pick just one fave! These might also be good for splitting up and proffering as individual gifts, if you’re able to part with any! 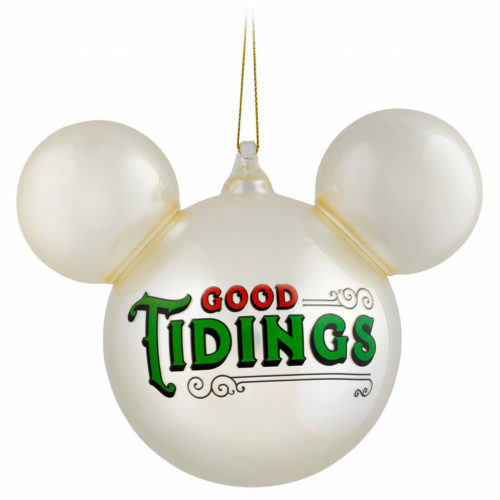 Let the Good Tidings Roll with this new pearlized Mickey Mouse Icon Ball Good Tidings Ornament for your tree! 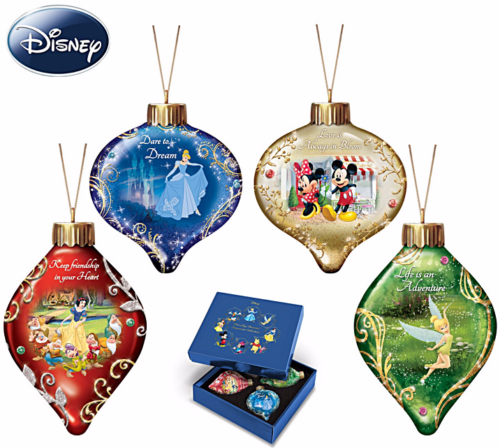 Give your Tannenbaum a touch of glitz and glam with these Illuminated Glass Disney Ornaments! This one’s for the Mickey and Minnie Fans ! 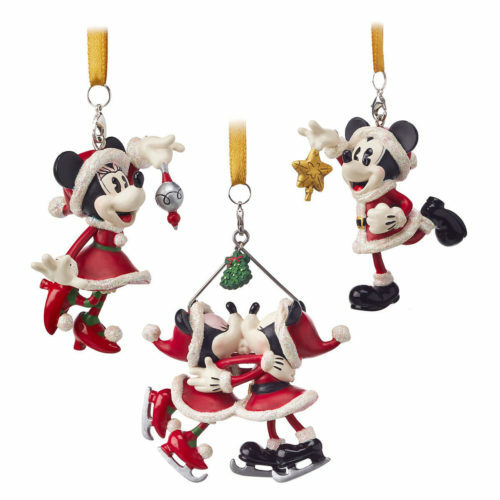 This Santa Mickey and Minnie Ornament Set with find the perfect place hiding amongst the other two or three (hundred) Disney decorations on your tree! Traditional Thomas…do you hear what I hear?? This one’s calling your name, isn’t it? Can’t you just SEE your tree, decked from top to bottom in the most gorgeous reds and greens with these beautifully candy-colored Mickey Mouse Ornaments dotting your perfectly perfected landscape?? There are only two things practically perfect in every way: Mary Poppins herself and your Christmas Tree. Once there was a girl. And that girl loved a boy. And then they found themselves here, in this situation. It’s a super compelling love story and if you haven’t seen it, we highly recommend it. It’s Star Wars 452: Attack of the Ewoks on Jakku with the Force of the Sith. Just kidding. It’s Empire Strikes Back and it’s one of the GREATEST MOVIES OF ALL TIME. 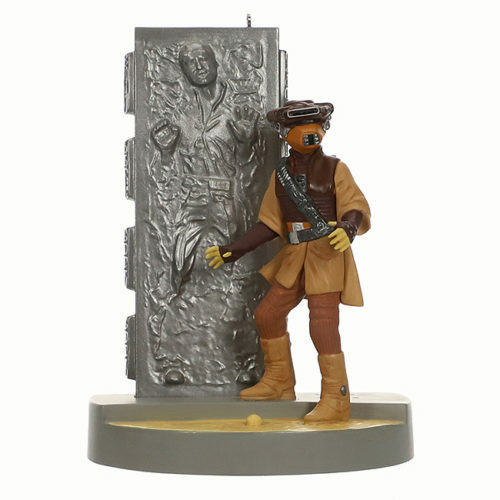 But, if you’re even remotely interested in this Solo and Leia Hallmark Ornament, you knew that already. It has buttons. And sounds. Bonus!